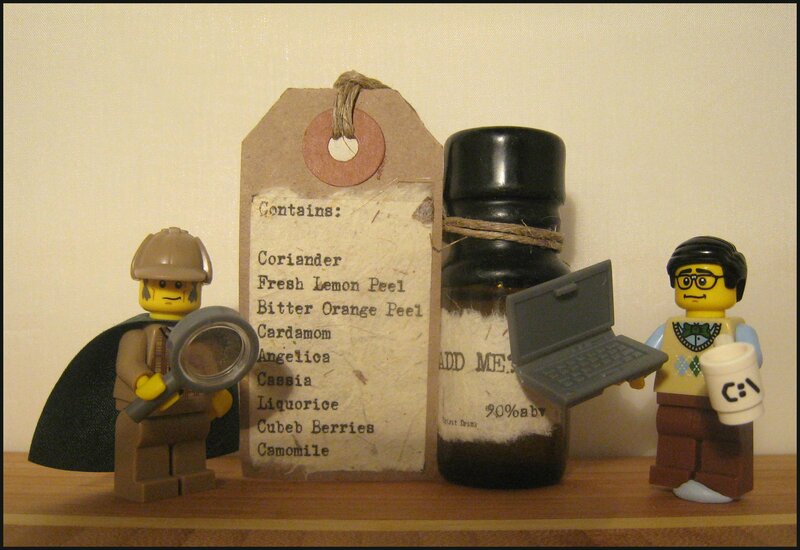 Holmes was stumped so Watson looked it up on MasterofMalt.com and found the bottle contained a delicious array of botanicals! In Part One, I tasted the Origin Range of Single Estate Gins from Master of Malt on their own, in their pure juniper form, but what about the little vial that accompanied each bottle? This contains a mixture made using a number of other popular gin botanicals, such as coriander and cardamom, which can be added to the juniper spirit to make a multi-botanical gin. 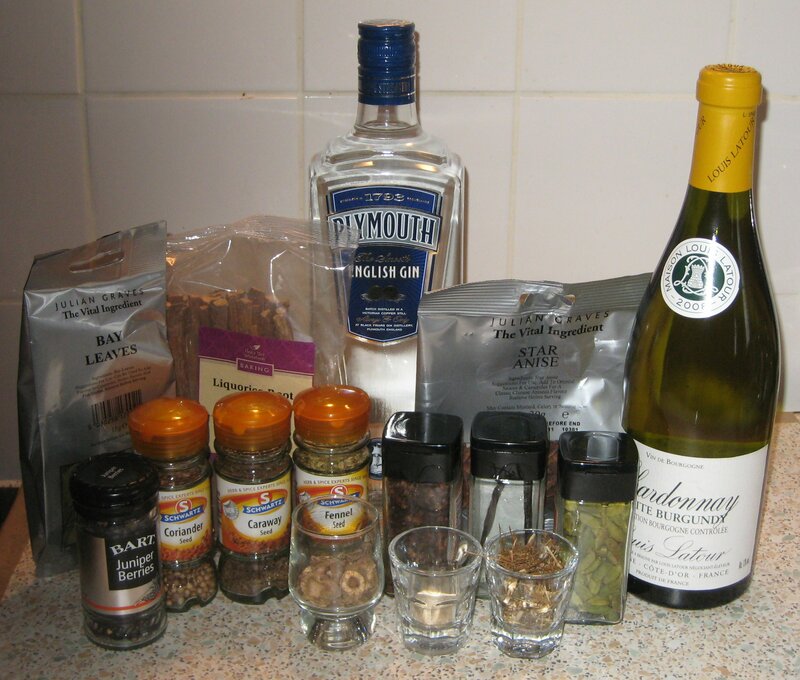 I mixed each of the four varieties of gin with their vials (all of which are the same strength and made using the same botanicals; I also mixed them to the same quantities). Nose: Juniper, coriander, and a touch of cardamom. Taste: This seemed quite viscous and strong (alcohol-wise); there is also a touch of saltiness, which is followed by some sweetness. The predominant flavour of fresh juniper is followed by big and spicy notes of green cardamom. All wrapped up nicely with a long, delicious finish. Quite sweet for a Gin & Tonic – almost sherbety – this also had notes of lemon, cardamom and vanilla. Some will probably prefer a drier drink, although I found that the sweetness levels improved with a little ice-melt, making it more refreshing and bring out more of the nutty cardamom. Clean and crisp, although it seems quite strong in terms of ABV. Lots of green cardamom notes. This chills well and is nice and spicy. An impressive Negroni: oodles of flavour with a strong juniper and citrus presence. Textbook. Nose: Spicy juniper and coriander, salt and pepper. Taste: The juniper is strong and prominent amongst the other botanicals, although there is a notable liquorice sweetness, citrus, vanilla and a touch of cardamom. 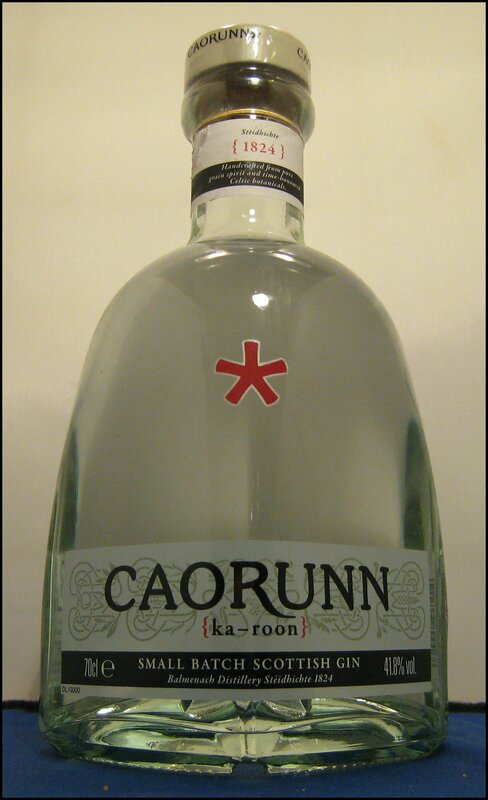 A complex, balanced gin with a long finish. Fresh and crisp with juniper, citrus and cardamom, along with a touch of coriander. Refreshing, this provides everything you could want from a Gin & Tonic. Very clean and raising to the appetite, with equal measures of juniper, citrus and spice. This was certainly complex, but not overwhelmingly so; it will compete with the best of its contemporaries. A clean and soft Negroni; bittersweet and easy to drink with all of the characteristics that aficionados look for, plus a good deal more. A pleasure to drink. Nose: Clean and not aggressive, with citrus (lemon & lemon verbena) and some juniper. Taste: Quite savoury, with some saltiness and a hint of tomato, I think this would work well in a Red Snapper. A good finish of dry juniper. 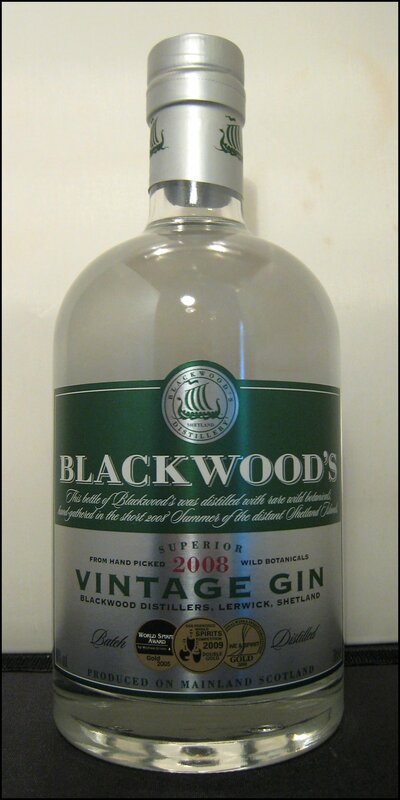 Creamy, with a little sweetness that’s followed by a bitter, earthy juniper flavour that works well with the quinine. Cooling and quite light, making it the height of refreshment. Smooth, easy to drink and spicy with coriander, cardamom and liquorice. Again, a dry finish. A very straightforward Negroni that will please, but not wow. It has a good balance, but the gin presence could be stronger. Nose: Quite gentle, with a mix of citrus, biscuits, nuts and juniper, finishing with spicy cardamom. Taste: A good, solid gin with a generally good balance, although it leans a little towards cardamom (not that I’ll complain about that!). 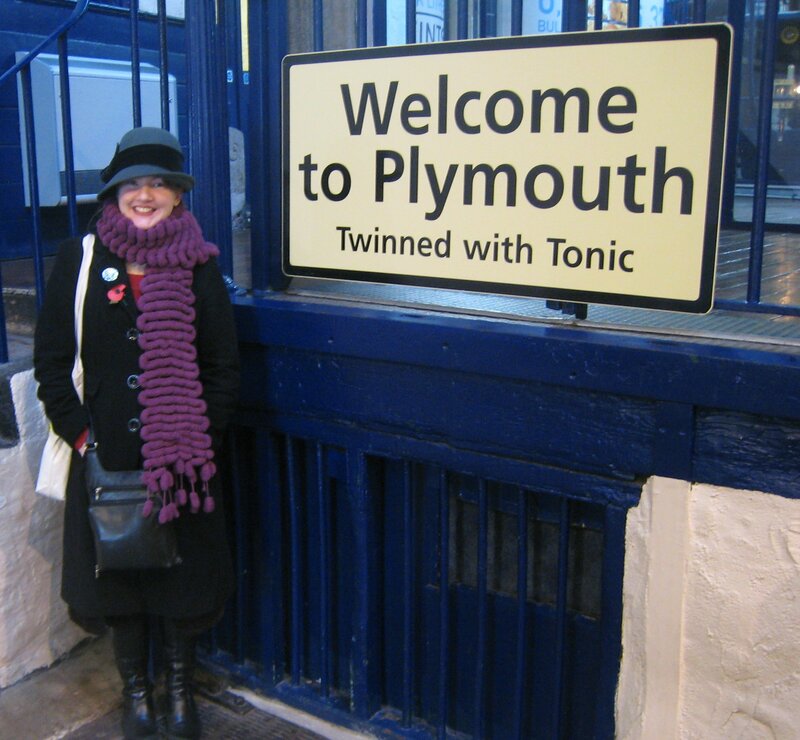 This gin is one for fans of Plymouth/Sacred/Boodles, plus many other folks, too. Very good, indeed. Easy to drink, although the gin is a little lost behind the tonic. That said, the drink is delightful and refreshing; it would just be nice if you could taste more of the gin (maybe just add an extra splash?). Exceptionally smooth, with hints of anise and coriander. There’s some citrus, but it’s by no means overpowering. I think it would work well with an olive garnish. Full of flavour, this is a rather spicy Negroni that will please fanciers of cardamom as this flavour takes centre stage. Despites having such prominent flavour in its midst, the balance of the cocktail is good and it is refreshing. It has so much flavour that I think I’d drink it ungarnished. 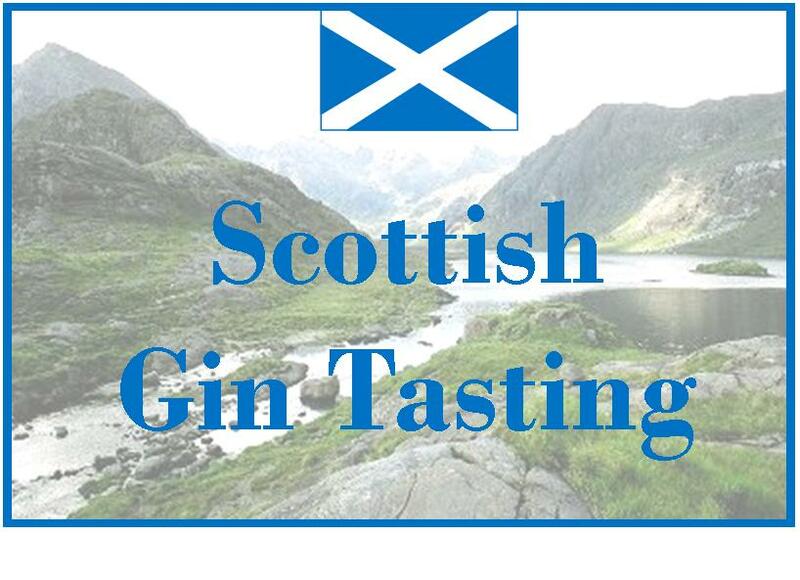 It is amazing what a difference the source of juniper makes to the overall flavour of gin and I hope that Master of Malt do many more events like this so that others can get a chance to taste them first hand (although, of course, you can buy them from the site too!). My favourite of the four was easily the one made using juniper from the Netherlands, which, for me, outperformed the others in almost every cocktail. It was so complex that I preferred it without the extra botanicals and so will be drinking the rest of bottle as is. Many thanks to everyone that has made this article possible and I look forward to Macedonia (I have heard intriguing things!) and Kosovo. Also, watch out for our review of the Master of Malt Summer Fruit Cup (good name, eh?). 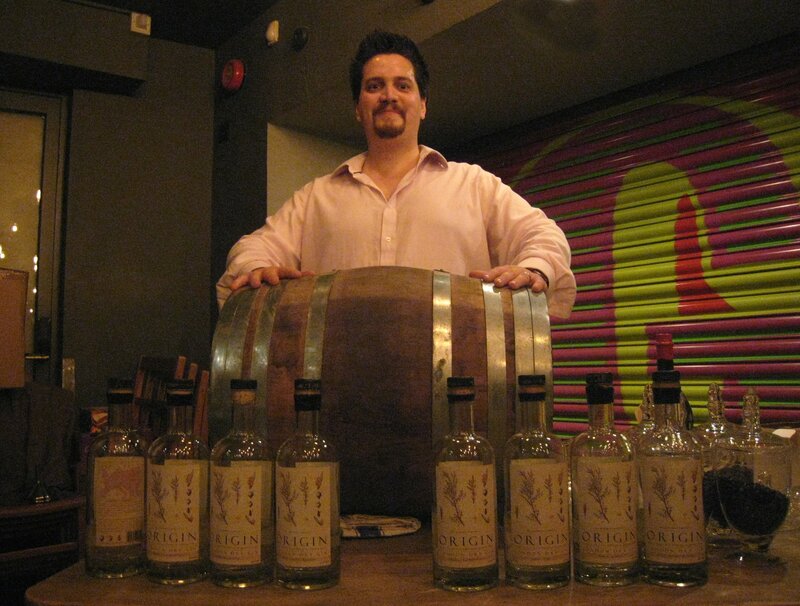 As a final touch to our tasting at the Juniper Society, Ben presented us with a 50 litre barrel and asked us what our favourite of the four gins was. The majority chose the Netherlands Gin (a choice with which I agreed). We were then told that it was to be mixed in an Negroni (for aging in that very barrel) and proceeded to be asked whether we wanted to use just the juniper spirit on its own or the multi-botanical mix. 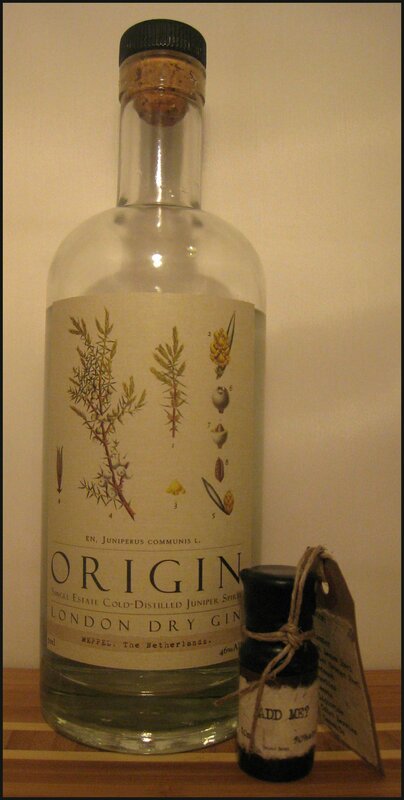 A huge majority voted for the unadulterated Netherland Juniper on its own. 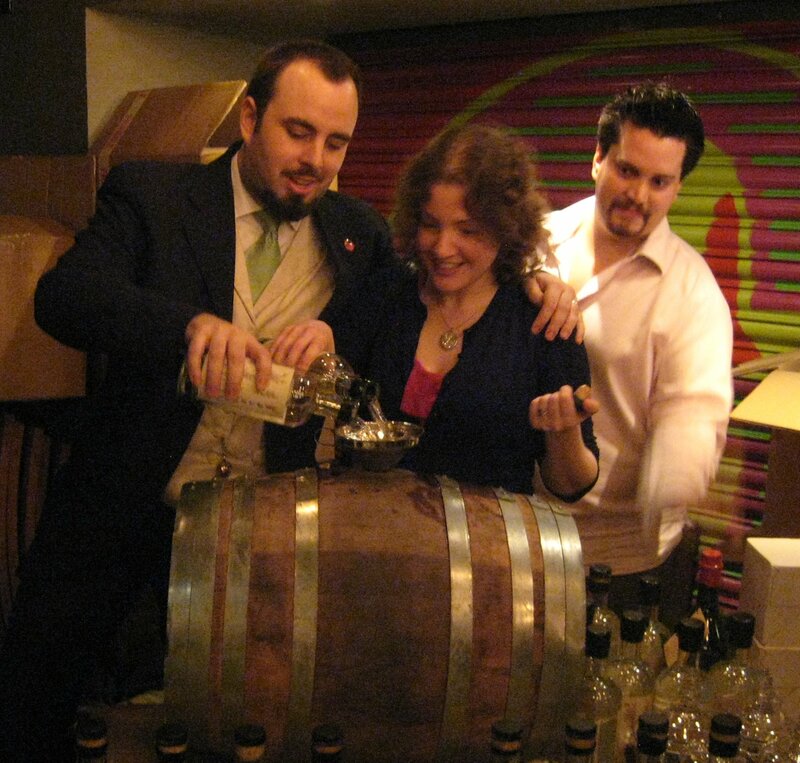 We all got a chance to pour in some of the ingredients and sign the cask and were then given a little stub (we have 00006 and 00007), which entitles us to a glass of the 1 Year Old Negroni at the Juniper Society’s third birthday in 2013. The barrel is now proudly displayed on the bar at Graphic. 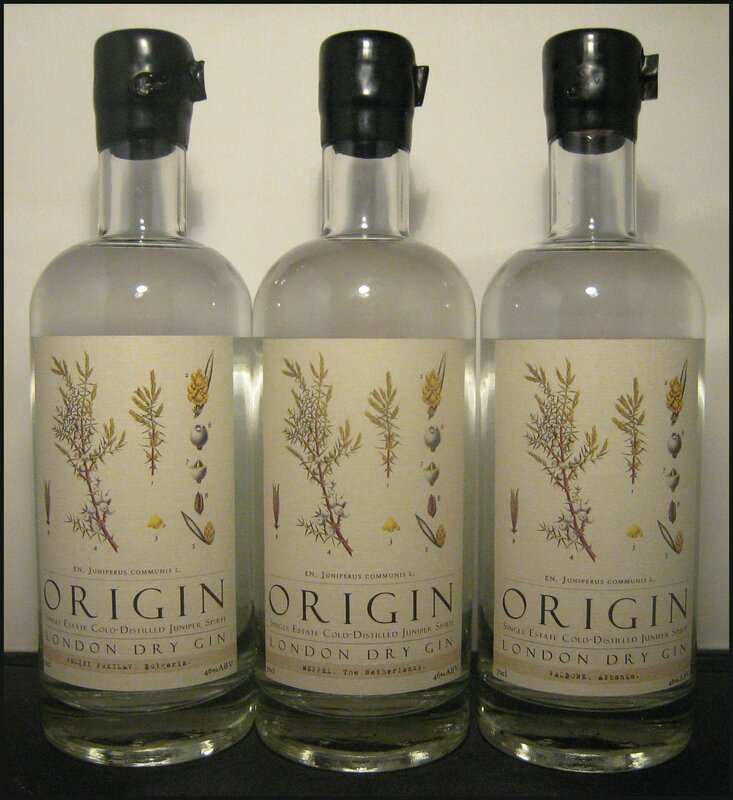 Master of Malt Origin Gins are available at £34.95 a bottle (71cl) from their website. 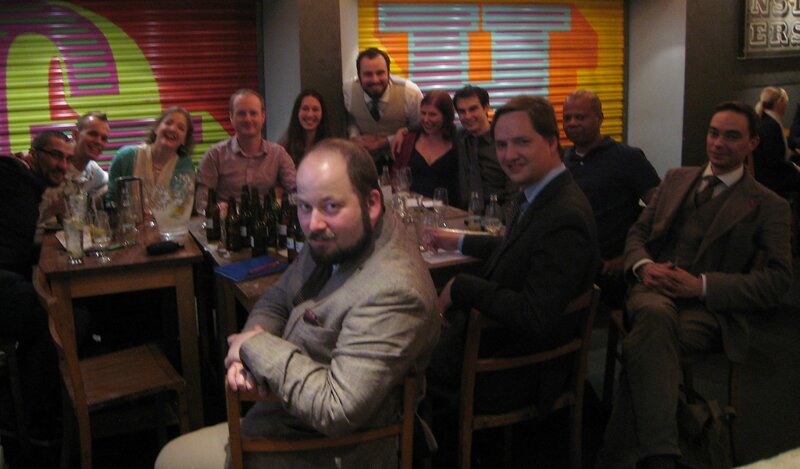 Special thanks to Ben, Cat and Rhyan of Master of Malt, Adam & Sarah of The Juniper society and zack and his team at Graphic Bar. A lot has changed since Mrs. B & I first made our way up to London for the first ever Juniper Society (the launch of SW4 Gin) in July 2010; since then, we have written a plethora of articles, contributed to trade magazines and I’m now writer-in-residence for Graphic Bar, the very location of that first meeting. 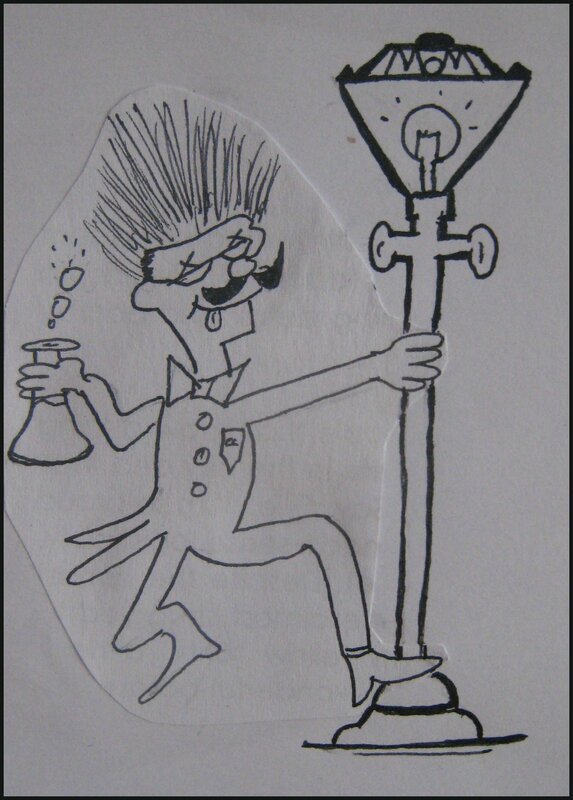 An artist’s impressionof the Professor – sketched on the back of an envelope. As such, it was with considerable anticipation that I travelled up to London for the 2nd birthday party to celebrate this special group of people. Of course, if you are looking for special and unique products, then look no further than Master of Malt, the drinks and spirits shop that are now pioneering a new wave of drink innovation with their in-house products. The revolution is spearheaded by Professor Cornelius Ampleforth, whose crazy concoctions we have written about on a number of occasions. Today’s focus is on Master of Malt’s new range of Single Estate Gins, which are the brainchild of Ben Ellefsen, their Sales Director (I like to think of him more as Head of Innovation). Whilst he was making his Bathtub Gin, he uncovered inconsistencies in the batches of juniper that he was using, even though his supplier insisted they were from the same country. Sadly, they could not be more precise regarding the exact origin of the berries and, thus, a project was born. 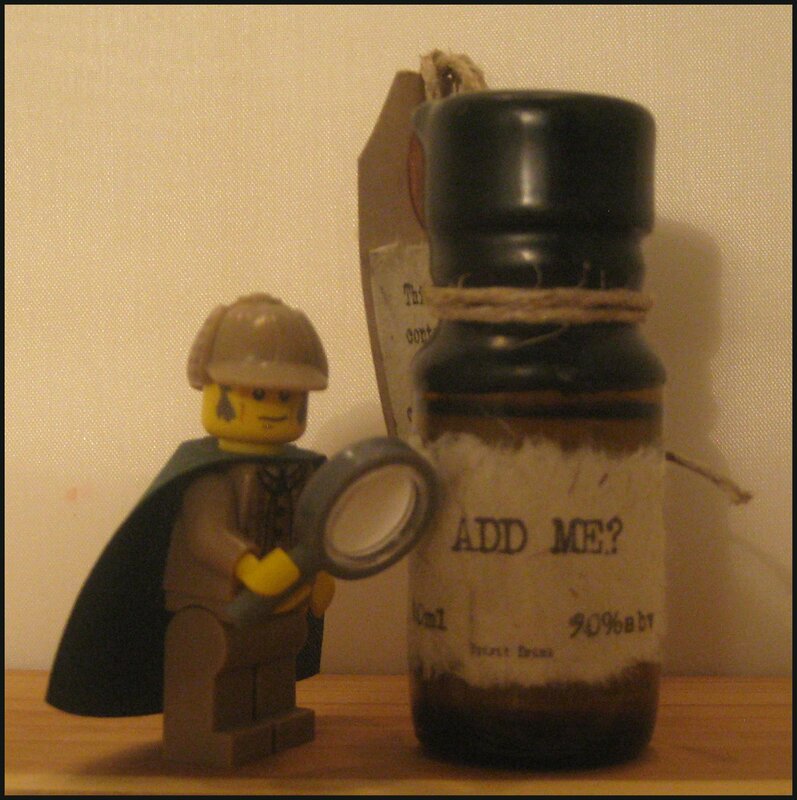 Even Holmes struggles with this mystery bottle. Ben set out to source quality juniper berries that could be traced back to a much narrower area. 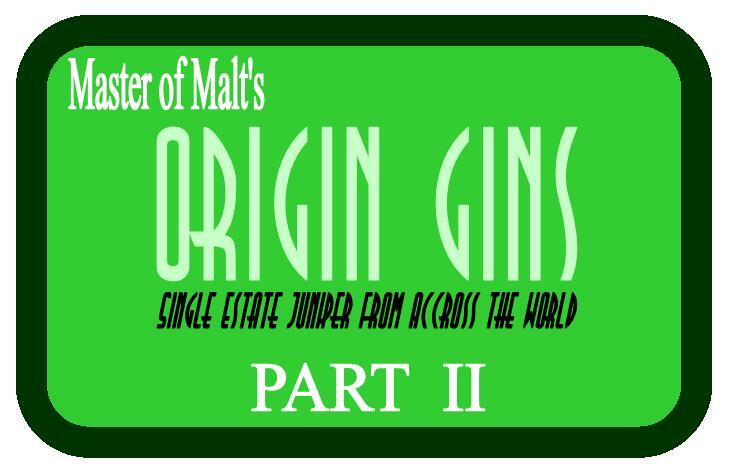 A bounty was placed on such juniper and advertised on the Master of Malt website. After a lot of leg work from Ben and his team, the first four Single Estate Gins are finally ready. Each bottle contains 700ml of Juniper Spirit (or single botanical gin, if you will); the juniper of which all comes from a single geographical source. The actual species of the berries (Juniperus Communis) is constant throughout. Each bottle is also accompanied by a small 10ml vial, but I’ll write more on that in part 2 of this article. 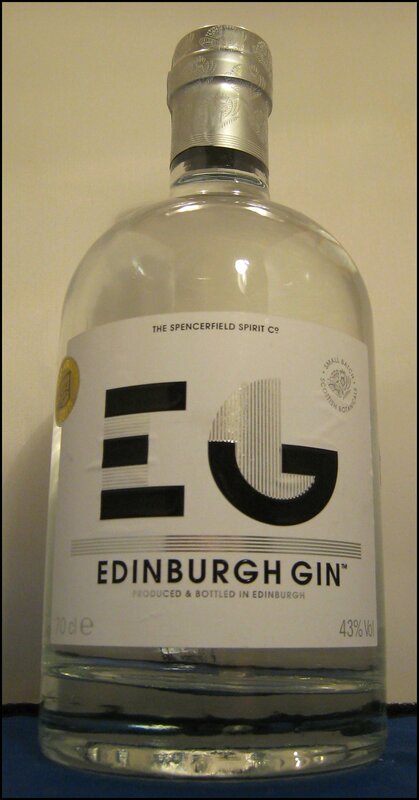 For now, here are my tasting notes for the four Single Estate Gins. Nose: Full and leafy, with fresh, ripe juniper and some citrus. This is bursting with character and very inviting. Taste: There’s an initial smoothness with a touch of citrus, followed by sweetness in the middle. This then moves towards an earthy bitterness, including dark chocolate on the finish, as well as a slight pepperiness. Crisp, fresh and leafy green. There’s a distinctive taste of fresh juniper berries, along with a dash of citrus and a touch of lavender. This could probably do with a garnish, just to perfect it. Creamy, but with the juniper family’s recognisable leafy-green flavours. 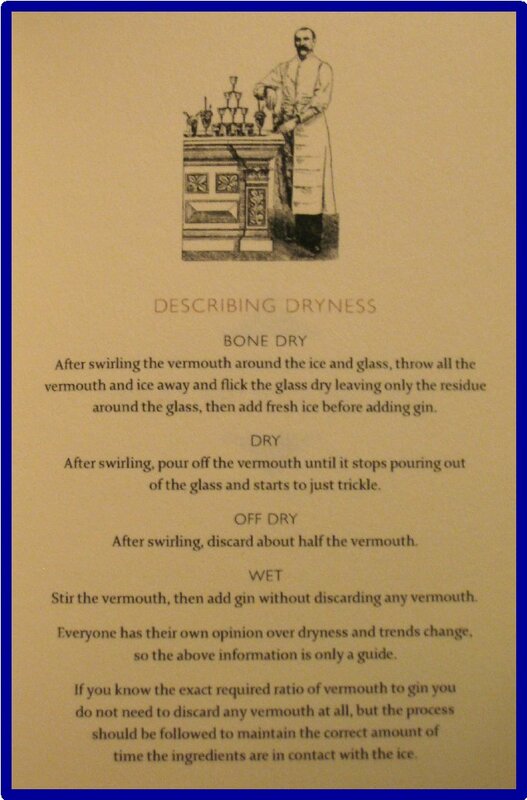 It’s definitely dry, but manages to retain its creaminess; very distinctive. 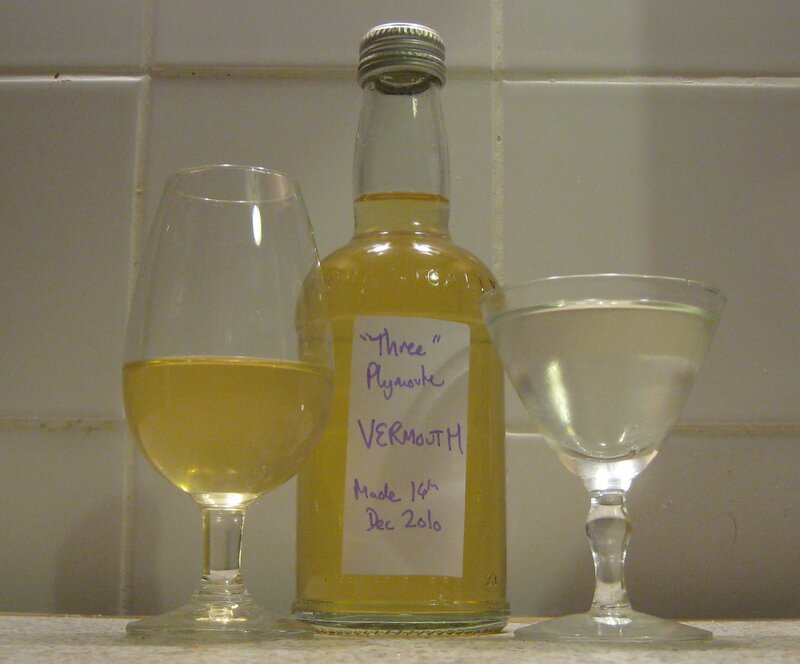 A relatively sweet drink; a touch syrupy, with a pronounced bitter finish. Good level of dryness. Classic in style, but perhaps a little lacking in depth. There’s a coffee or chocolate-like bitterness towards the end. Nose: Deep piney and resinous juniper notes, with a slight nuttiness. A mix of savoury, citrus and floral notes gives this a full and very complex flavour, especially given that it is only one botanical. Taste: Silky to begin; a little creamy, quite thick and rich. There is a lot going on, but the balance of the various notes is good. Coriander pops up halfway through. 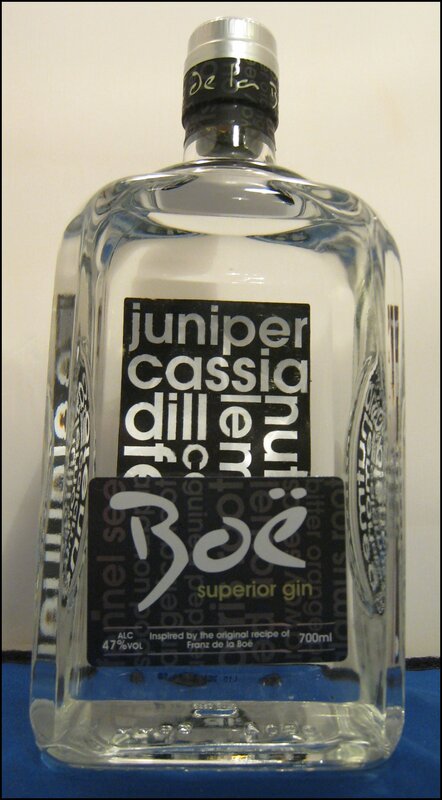 This is easily as complex as many other gins, which, given that it’s all from the juniper, is incredible, really. Quite a citrusy Gin & Tonic with a touch of hazelnut. Very fresh and deliciously crisp. This is a drink that easily competes with the best of them – rather superb! A well-rounded Martini: clean and crisp, with notable some herbal notes in addition to those of the juniper. A hint of dry bitterness on the finish. 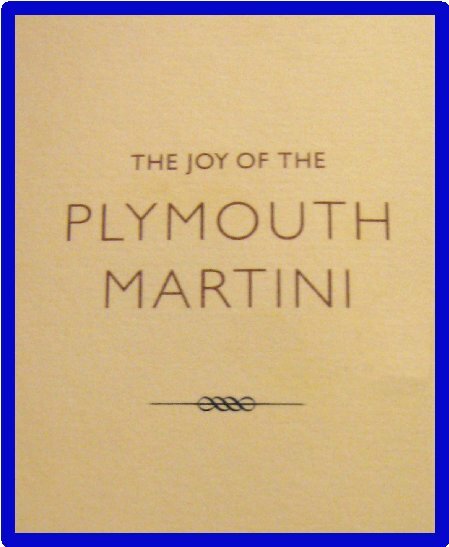 This is a very Classic Martini, with a long fresh finish. Very good. Smooth and fruity with a good bittersweet balance, I think this is quite accessible. Fans of Negronis will be content and it may even convert some very reluctant drinkers of Campari. It’s smoothness makes it very easy to drink, but it’s still packed full of flavour. Nose: More subtle than the previous two; the juniper is lighter, but still clearly there and accompanied by floral notes, such as violet. The whole spirit seems rather confectionary, with a biscuity spiciness (maybe cayenne pepper) and hints of sweet liquorice and coconut. Taste: Soft and smooth. There’s some juniper, but the spirit seems sweeter than the previous two, although obviously not sugary. The sweetness is a botanical one and actually reminded some of the Jolly Gin Fellows of varieties of Old Tom Gin; perhaps this gin would make a good base for one? Sweet citrus and liquorice root on the finish. A real departure from the previous two, showing how much of a difference the berries make. This drink is lighter and cleaner, although, as such, it doesn’t stand up so well to the tonic water. Overall, this is still a pleasant drink with a dry, juniper finish. A silky Martini, although the juniper seems a lot less prominent – it’s almost as if this is 50/50 mix of a gin and vodka Martini. Subtle and a touch on the sweet side (that liquorice again! ), but by no means a bad drink. This starts with a gentle, earthy bitterness. It’s not very sweet, but there’s a good dose of herbal flavours, along with some deep, spicy notes. On reflection, this is quite a gentle Negroni that is much improved with a slice of orange. Nose: A clean nose of dry, zesty juniper, like pine needles; reminds me of a forest after its been raining. Taste: The green pine continues to remind me of a forest. There is also a hint of vanilla, a creamy smoothness and a touch of lemon peel. 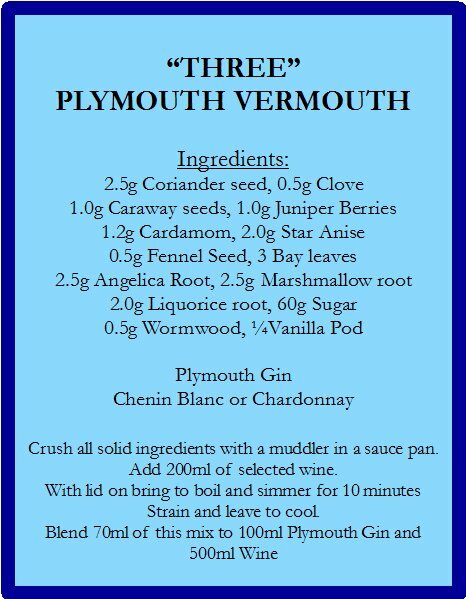 This was a rather a powerful Gin & Tonic, so if you like your drinks to be made with a powerful gin, then this is for you! Definitely a no-nonsense drink: juniper, quinine, and bubbles, making for great refreshment. A very clean and ultra-smooth Martini that adds a little warmth to the stomach once you have swallowed it. 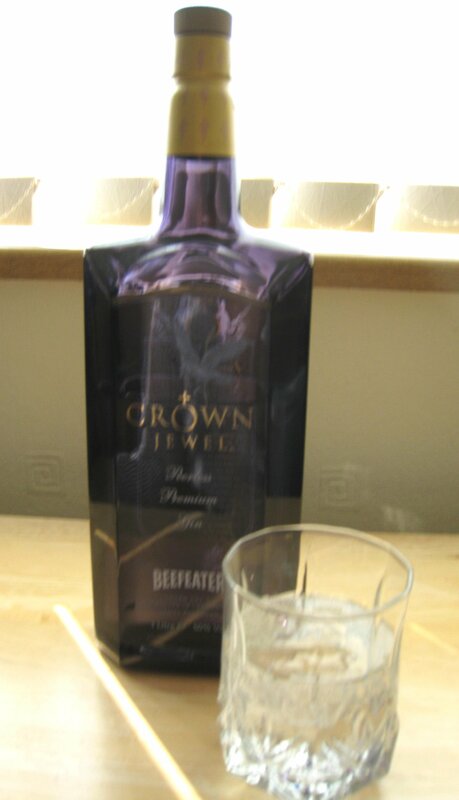 This is a drink that really makes an impact and, in my opinion, explains why Martinis are sometimes said to remind people of the purity of diamonds. Quite a sweet Negroni, but with some bitterness at the end. Quite good, but maybe a touch too syrupy. A zesty garnish should perks things up, though. There are also plans to add a fifth and sixth locational variety (Macedonia and Kosovo), but, for the moment, this ends Part One; Part Two can be found here. For me, the real ace in the pack was Bruce Cost’s Fresh Ginger Ale. Mr Cost wrote a very comprehensive book on ginger, “Ginger East meets West”, where he documents the origins of ginger soft drinks and how he finally decided to make his own ginger ale. But this is no Canada Dry, however. Bruce has taken his inspiration from the more hearty Belfast-style of ginger ale; it is something of a hybrid between modern ginger beer and ginger ale, but, in reality, was the ancestor of both. Belfast Ginger Ale is more fiery than ginger ale, but not as sweet as ginger beer, and it’s delicious. There’s a fruity nose with a hint of spice. 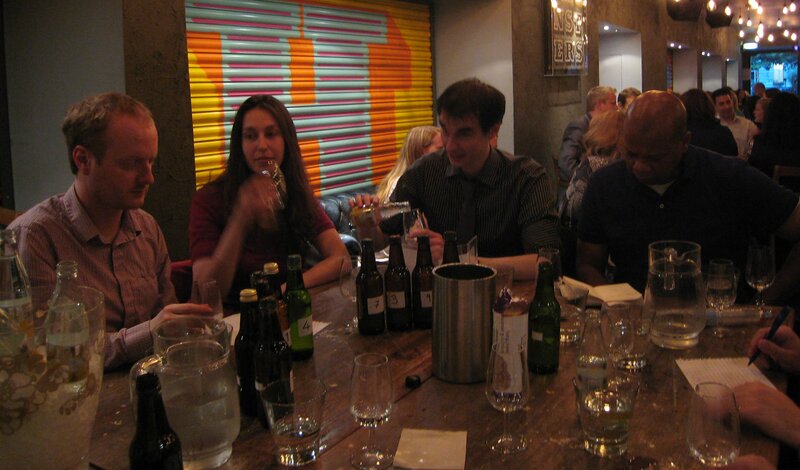 In terms of taste, the fruitiness appears again, maybe passion fruit, as well as some malt and a bit of yeast. It has a medium fizz and tasted like a fresh, home-made variety; rustic, but absolutely superb. To my mind, this is a good example of Belfast-style ginger ale. I wish more ginger beers were like this; Bruce Cost’s Ginger Ale has to be one of my favourites.I also tried Mr Cost’s Ginger Ale in a variety of ginger ale cocktails, the recipes for which can be found here. Pleasant and refreshing, but probably a bit sweet for me; half a measure of citrus juice would turn this into a buck and that would solve the problem. Rather pleasant, as it freshens up the sloe gin. It may, perhaps, be too sweet for some, but if you were to use a variety such as Sloeth or Foxdenton, this wouldn’t be a problem. Sweet & smooth and the twist of citrus sets off the flavours nicely. Not too fizzy and very tasty. Typically, you would use a ginger beer for the two drinks below, but I was intrigued to try them, as Bruce Cost’s Ginger Ale is rather ginger-beer-like. Great, not so heavy of the ginger and a little bit of lemongrass comes through. Fresh an very quenching of one’s thirst. Pretty good rink, maybe a bit watery but the way the ginger ale and the rum interacts it certainly looks stormy. Visually spectacular. I’m really impressed with this product and I’m keen to try the Passion-fruit and Jasmine Ginger Ales that they also make. It tasted just as good mixed as it did on its own and I hope that it’s available in the UK sometime soon.